Admittedly, the title is a bit misleading. One would imagine a toy like horse delivering robot but it could not be further from a horse. It actually looks more like a tiny washing machine with a lot of wheels. 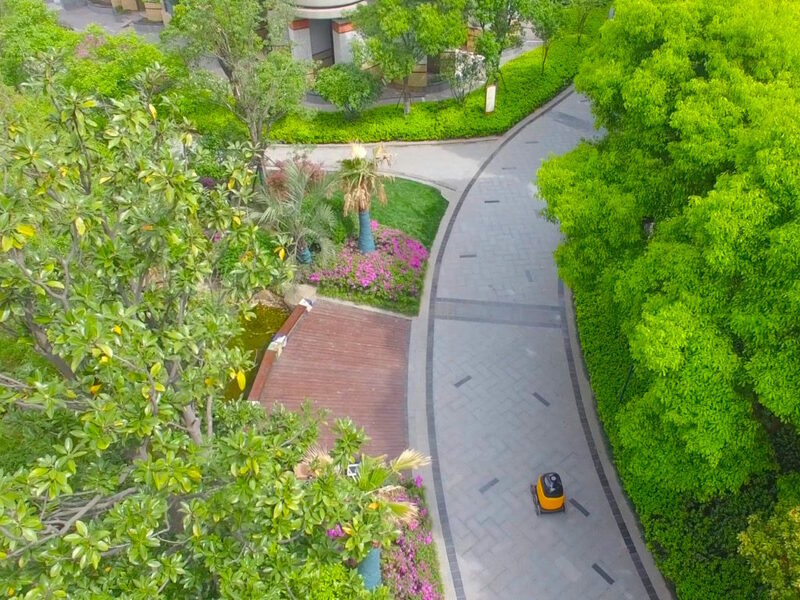 This little tiny delivery robot is designed to change the delivery system in China by replacing human workers with inexpensive robots. Someone might even mistake these robots for small mobile garbage robots (which is not a bad idea within itself) but in reality, they are on their way to deliver products and packages to their waiting clients. 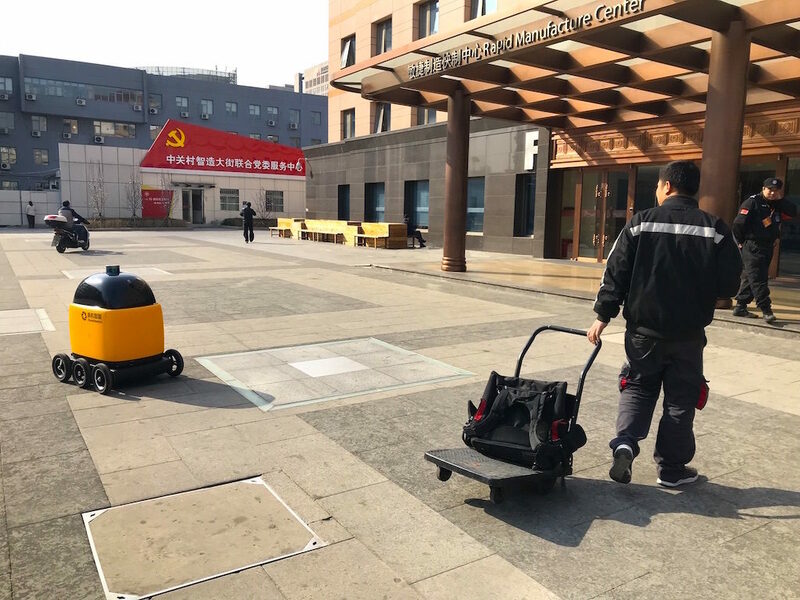 The most interesting thing is that these small robots help support small businesses around China in the Kafka district in Beijing. Customers will go online and order whatever food and drinks they want, through a smartphone app or website and then the human workers will work to store these products inside the robot and send them on their way. These robots travel at a three kilometer per hour pace which is albeit slow but customers have reported satisfaction with their delivery times. The robots come with a Global Positioning System, a radar and an array of sensors and cameras. China is very different from anywhere else in the world. In the sense that, China has so much technology and their population has become so used to having this technology at hand. Chinese citizens are more used to having cashless transactions and no human interaction in their dealings. These robots have capitalized on this and have made it so that all the customers have to do is to is collect their ordered products. The creator of this ‘little yellow horse’, Liu Zhiyong says that in the near future, these robots will be delivering over 1 Billion deliveries every day! That is right, BILLION not million. Everyday. Zhen Robotics the company behind this robot, says that this little robot and others like it will change the future of logistics in China. It has already started. 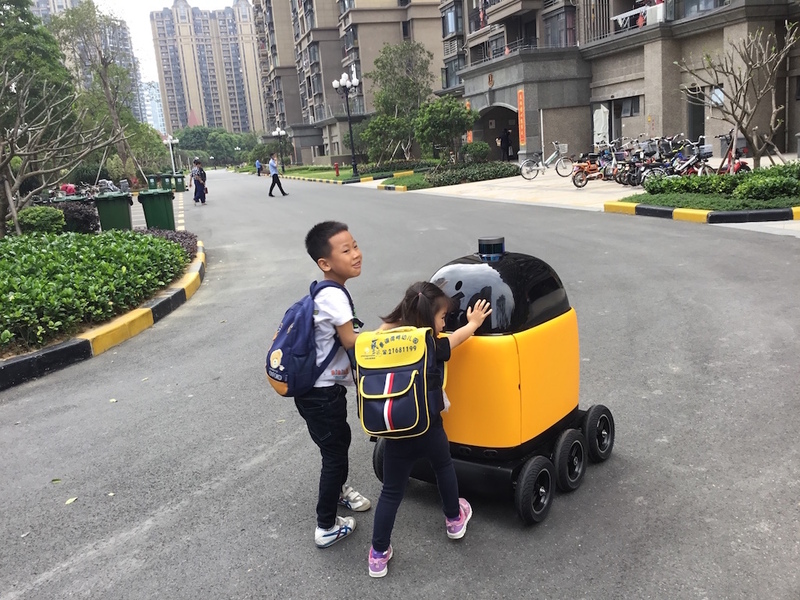 At the time of writing, the robot is delivering over 100 Million products per day and have become a common sight in Beijing. Zhen Robotics say that these robots aim to fill the gap between the number of deliveries required and the human workers available for it. The gap is very quickly widening. These bots are reducing costs and making everything much more efficient. Companies only need to make a onetime investment to buy them and that is it. The one drawback of this robot is that they are only limited to delivering only on the ground floor. Anything above that is at the moment impossible. Sort of like the Daleks from Doctor Who. But Zhen Robotics say that this is a drawback that they will soon easily overcome. The top speed they are currently aiming for 12 kilometers on all six wheels. The costs will come down over time and make these robots affordable for everyone over time.